I find this photo challenge interesting in that the word “delta” is used to signify change or transition. Delta is a five-letter word that has been a huge part of my vocabulary since I met my hubby over 8 years ago. 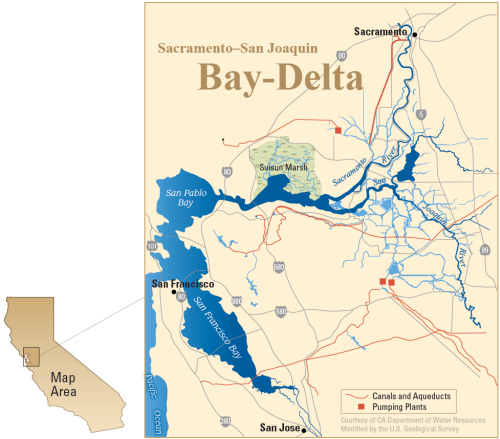 Much of my leisure time involves the Sacramento River Delta in Northern California where two rivers converge near the San Francisco Bay area. If you have followed my blog for any length of time, you probably know I took up windsurfing at age 49. 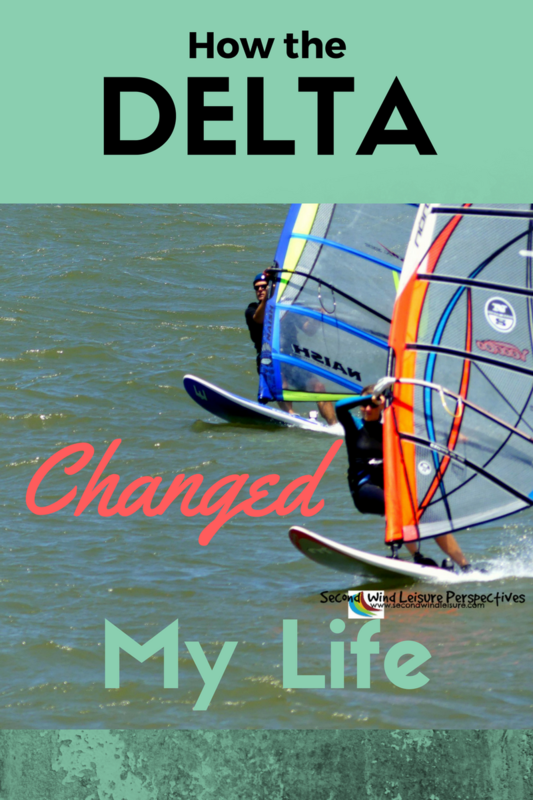 All of my windsurfing experience was gained here in the delta. Eight years later I’m still struggling to just master the basics. 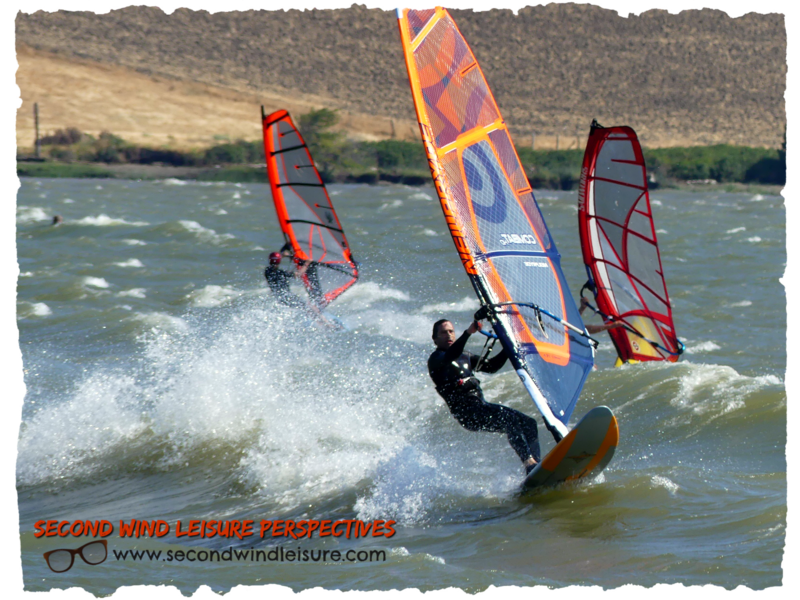 I mention this because the delta, specifically Sherman Island in Sacramento County, is home to the second most popular windsurfing spot on the West Coast, indeed a word-wide destination for sailors looking for an intermediate to advanced area for wind sports. If you had asked me in 2008 if I was interested in windsurfing, I would have looked at you with a quizzical look. This sport or leisure pastime was the last thing on my mind or at least at the bottom of my bucket list. Hubby with a Big Jump! Just a year later, on my first date with my (now) hubby, after dinner out, we sat and watched windsurfing videos at his friend’s house where he was temporarily staying. After watching, I stated, “Maybe you can teach me how to windsurf.” As he fell out of his chair, I think that might have been the moment he fell in love with me. I have always been athletic and easily learned new sports skills. I have excelled at figure skating, archery, horseback riding, tennis, swimming, softball, and cycling. In fact, because of my exposure to windsurfing I discovered the “new-old” sport of SUPing, or stand-up paddle-boarding, as it’s called. After a quick lesson, I learned quickly and consider it one of my top pastimes. Not so much with windsurfing. Ridiculously frustrating! I vowed to quit and sell my quiver of used sails, boards and all its paraphernalia more times than I can count. What does all have to do with the theme, besides the obvious? The weekly photo challenge used a photo of a delta to symbolize what we believe are transitions and/or change. With all my threats to throw my hands up and admit defeat, somehow, windsurfing has changed me. The very act of balancing on a shifting board while grasping the boom of the sail, then adjusting my body to the wind to catch the sail and set the whole rig in motion is quite amazing. Sidebar of interest: In the Greek alphabet, delta is the triangle shape pictured. Funny how it resembles a windsurf sail. 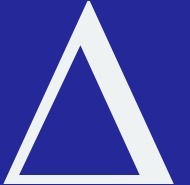 Visually, the sailor, board and sail also create this delta triad figure. If you don’t believe me please take a look at this very short video our good friend filmed of me last weekend. That’s really me! Learning this at age 49 and into my 50s has indeed changed me. Spontaneity and fun crept back into my life. A taste for adventure and travel is now ever-present, along with my amazing husband of 4 years. I mean, who flies solo to Mexico for the first time to meet their partner for a two-week windsurfing vacation? Me! The culture of windsurfing, from our delta campground with its circle of friends, to the fresh air and summer days spent on the beach, is something my life needed, even more than I realized. And it’s only a one hour drive from where we live in Sacramento! While we are on the subject of change, it must be noted that the Central Valley, where Sacramento is located, receives that glorious “delta breeze” all summer long. The Bay Area, known for its cool, foggy conditions, is positioned on the other end of this delta triangle. As the central valley basks in its summer heat, with average temps at 90 degrees, it pulls in that marine layer creating a strong wind current that eventually cools down the Sacramento area and surrounding areas. Our summer temperatures average 60 degrees in the morning hours, then heat up into the 90s, then by sundown, back into the 70s. This delta and its fragile environment is the gateway to some of the richest agricultural land in the world. Wine grapes love the climate. In almost the entire state of California, wine grapes for some of the world’s best wines are grown, from the famed Napa and Sonoma valleys, to Lodi and Clarksburg in the delta, and onto Southern California in the Temecula valley. Change indeed. My husband would agree with this, while happily sipping on his favorite Merlot after a ripping windsurf session. And since this IS a photography challenge, I must say that all these photos were taken recently. I got some awesome action shots that I will share on Instagram. And me? I’m grateful for this wonderful transition into midlife. Even with all these bruises and sore muscles. Thanks so much, Karen! I find SUPing easier on my body than windsurfing, but it is a thrill! Terri, I find your windsurfing awesome. I tried paddle boarding a couple of years ago but my balance was pretty shakey. I am not much of a sports person but windsurfing looks like so much fun. Thank you, Candy! It’s nice to share a passion! I loved watching you in that video Terri (but I didn’t see you doing any of the jumps and flips I’ve seen online!) You are amazing to be so good at so many sporting activities – you make up for my lack of expertise! Haha, Leanne, No acrobatics for me, I can barely hold on half the time and I have the bruises to prove it. It’s a blast though, thank you! Love the video Terri and I think you have mastered more than the basics! I also love the wind farm in the background. Isn’t it great that midlife can still bring challenges and excitement to our lives, including love! Thanks for sharing with us at #MLSTL and have a great week. Love this story, Terri! It just shows when we’re open to change, magic can happen. Hope you and your hubby enjoy many more fun days at the delta this summer. How cool is that? Until I met my husband, even after living in Sacramento for 30 years, I had never been there. I’m here right now 🙂 I would love to see your painting! ! Hi Terri, I love the metaphor of the delta as a change agent. I love that you found something that changed you. The pictures you share and the happiness you have is testimony to the positive ways windsurfing has changed you. I have had many changes in my life in the past few years, but I don’t think I can attribute the change to any one thing, unless it is quitting my job. I am still working on making changes. Sometimes I wish I could find a magic potion that would just make all the changes I want happen. I know it is a process and that I am moving in the right direction! Windsurfing is so fascinating, your video is so good. So many of us find new skills after middle age (whatever that is), I love to read stories like yours. This post will be featured on The Blogger’s Pit Stop. It’s literally been a great ride 🙂 thanks so much, Debby! Hope you had a wonderful Canada Day! Speaking of changes, do you have any word on the Save the Delta project and the tunnels? Thank you, Laura! Your upcoming trip sounds fun!! And no, haven’t heard anything, just propaganda from random signs when we drive through the area. What a great story, Terri!! I have to think that the right person, brings out the best in us!! I always say that about my husband of 12 years!! I used to be a picky eater, and now? I eat anything!! What a fascinating post, Terri. I had no idea so much skill and strategy is required to windsurf. Sadly, I am not athletic at all and my body type makes me unsuited for many sports. Plus I have a huge amount of fear – of speed, of falling, of the unexpected. But I like reading about what you are learning. And the pictures are fabulous. Thanks, Judy, you are way too kind! Wow, Terri, how fast were you going on that windsurf board? I bet it’s great exercise as well and keeps you fit and healthy (even if you do get a few bruises). The video was great, although my eyes were also drawn to the beautiful scenery. It is really lovely out there in the delta, Hugh! My speed was whatever the wind was at that time about 25 mph! EEEkKKKK! Seemed a LOT faster! Looks like you were going a lot faster, Terri. Sounds like the perfect place to windsurf. I remember visiting the area back in 2010 and was always amazed by how much the temperature could change over the day. As you said, perfect grape growing weather! And judging by our love of Napa Valley wines, I agree with what the guide told us. Speaking of wine, hubby found an amazing Zin from Napa at Grocery Outlet of all places! Called Wind Storm, even the bottle is amazing. Terrific post Terri. I agree wholeheartedly with all of your comments. Adventure is indeed the spice of life and makes us feel much younger than our years IMHO. Loved the video AND that you so recently found and married your husband who sounds like a great guy. I tried windsurfing in the Bahamas and loved it but refuse to do it anywhere that the water is cold as I spent as much time in it as on it!! Thank you, Tina! Don’t let that video fool you, I still do a lot of swimming. I would love to try windsurfing in some flat water for a change…a lake, Bahamas, South Padre Island…one of these days! Very cool to hear that you gave it a go! You are an inspiration, Terri, and I loved the video and the photos as well as your story. I was watching a video of my grandson who is swimming at age 5 like an Olympian, and made the comment that I wish I could swim better. My husband ruined my reverie with the statement that I could always take lessons and could likely swim as well as Cameron if I tried. I’m not athletic and don’t like to put my face in the water, but who knows? When I retire, I may pull my swimsuit out of mothballs and give it a try! Spontaneity,fun, adventure and travel are essential parts of life. Thanks for sharing this. LOVED the video! I remember you passionately and longingly talking about the Delta this past winter. I’m glad you stuck to windsurfing and that the good times have come again. 🙂 Like you learned to windsurf from your hubby, I learned to sail from mine. Love is key and determination comes next! Super post, Terri. Windsurfing sounds like a lot of fun. It is very popular in the coastal towns here in South Africa. I bet it is! Thanks, Robbie!! Thanks, Marsha! My Gen X friend made the video–he’s a whiz! I really liked how you tied everything together! I tried windsurfing many years ago but, unlike you, I got so frustrated that I gave it up. My husband was involved with the sport for a while, traveling down to Mexico and up to the Columbia Gorge with a group of enthusiasts. You are certainly to be commended for sticking at it. Your trips to the Delta must be a lovely thing to look forward to every year, and getting in the water when the air temps are soaring I’m sure is a relief. I think you told me that, Janis! It is easier now to learn, but not when we’re older. It’s great to see kids taking up the sport that many believe is dying. I have been to both of those places for sailing–the gorge is WINDY!! My only complaint each weekend is packing all the food and wrangling the dogs by myself…Hans always leaves straight from work to avoid traffic. Should be a windy weekend again for the 4th! Well done! It is amazing how we can surprise ourselves with what we can do. You are welcome. I learned to waterski at age 43 and never thought that would happen. Oh, I love to hear about these life events! Good for you! I never got the hang of that one!! Good for you, Terri. I loved the video!